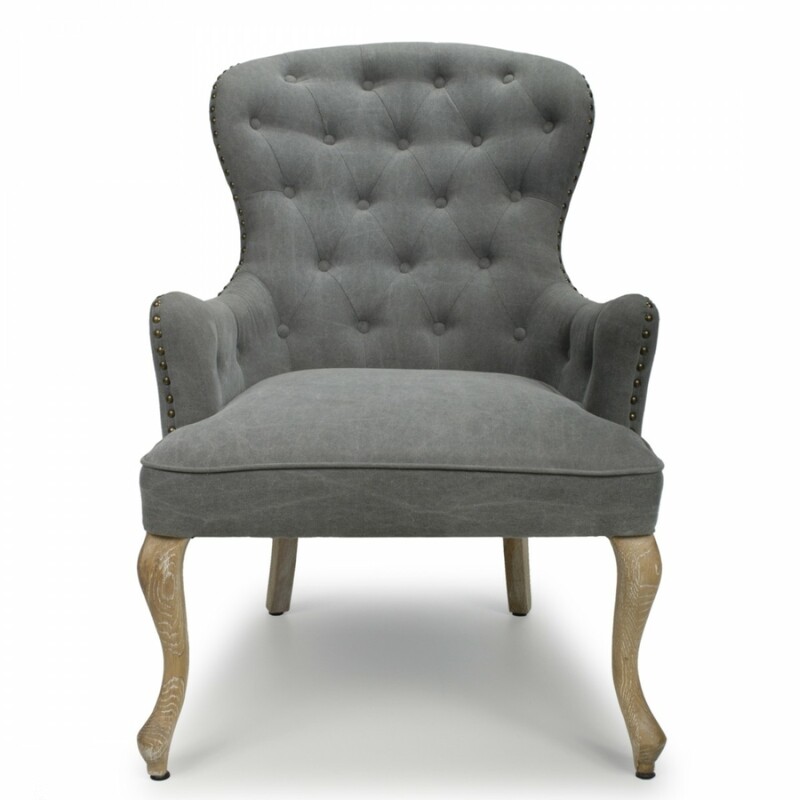 This unique Sloping Buttoned Back and deep filled padded Lounge Chair will win a special place in any home. 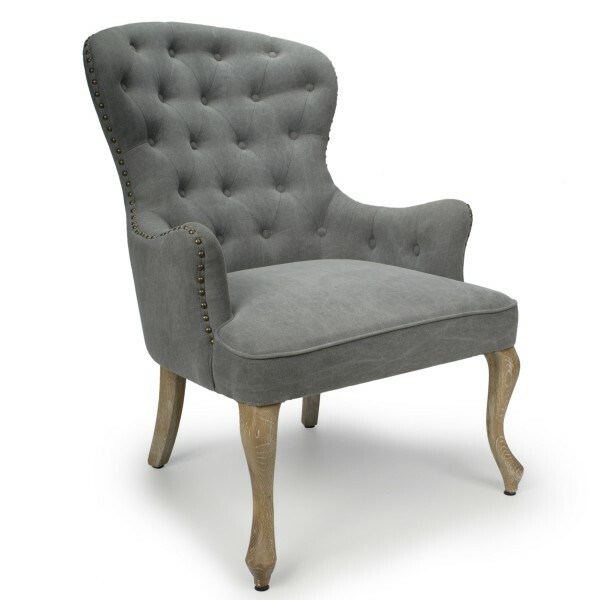 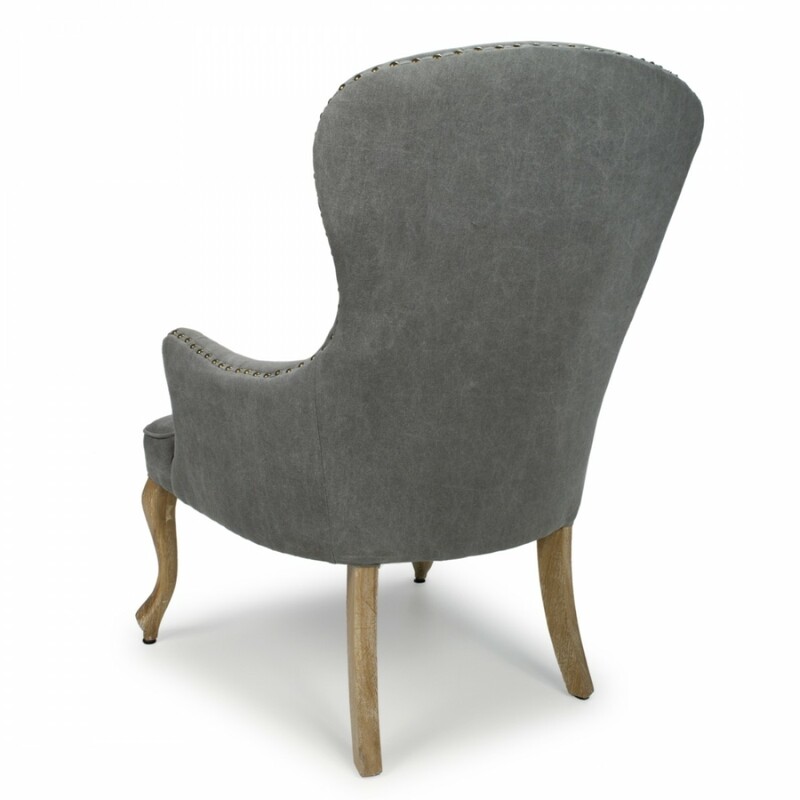 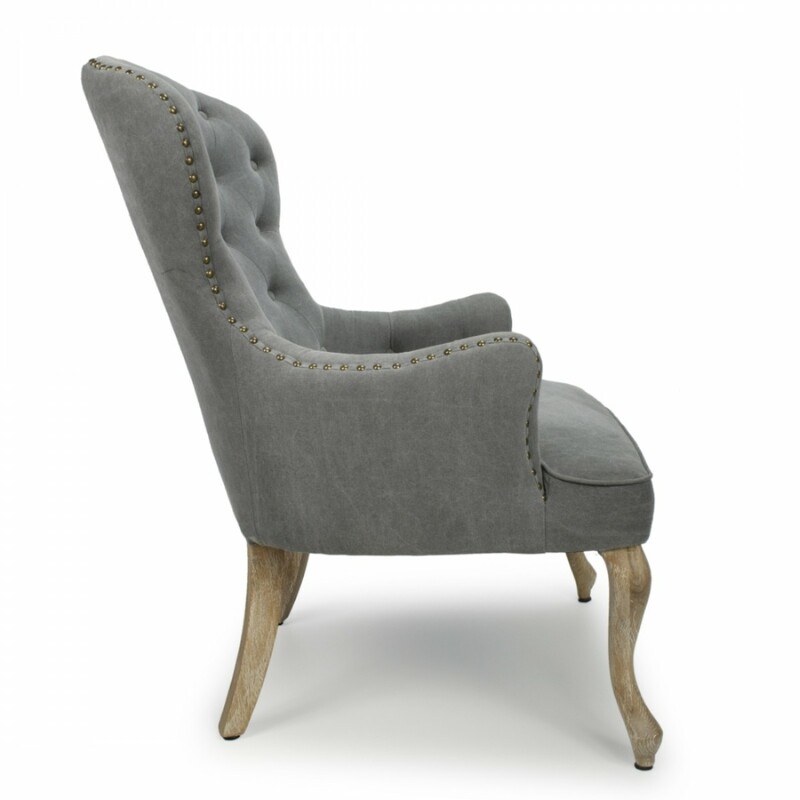 Made of Solid Oak and covered with a Stone Grey Dusky Cotton finished with studded detail. 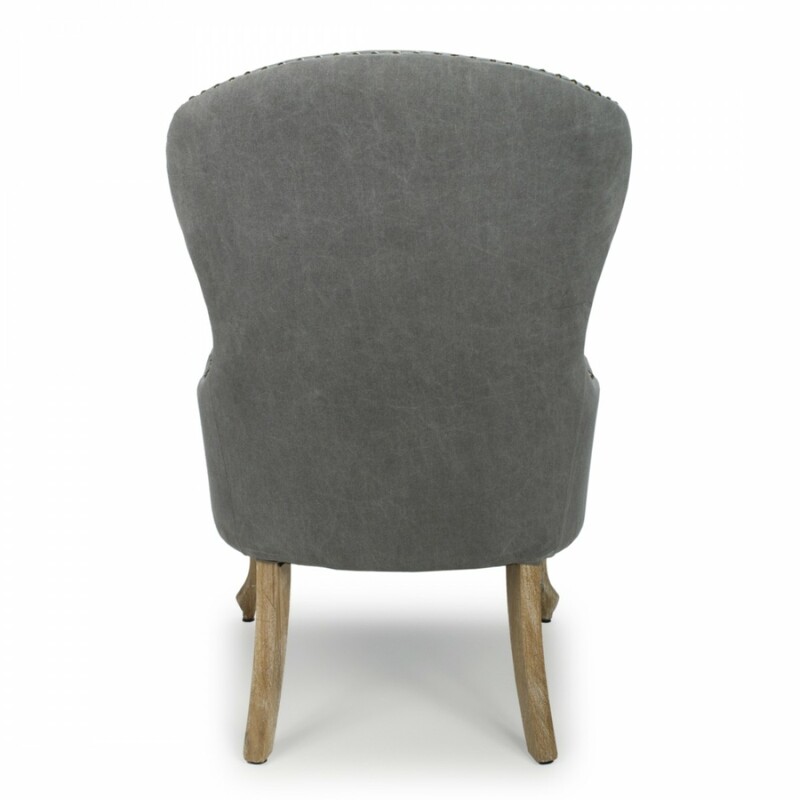 Features Cabriole Whitewash Shapely Oak Legs.